Cryonite versus Chemicals and other Whatnot?? Exterminating with three chemicals little prep? TGTBT? What chemicals are most effective? Sorry you are reading this post. (I know if you are that you too are familiar...probably even more so than me w/BB's.) I think we have a recent infestion of about 2 weeks old because I am only being bitten sporadically and my partner not showing any evidence (I know that she just might not be showing it.) We arrived back from St. Barth's on Jan 3rd. No evidence other than strange groupings of bites that when I looked on the internet look like bed bug bites (i have had 4 seperate days in 2 weeks where I had new bites...very unusual for winter in Rockland County, NY). 2 of the days were single bites each but the 1st two bites I experienced clusters of "breakfast, lunch and dinner" (each time about a week apart). 1. Can flea bites look like BB bites? 2. If we determine they are BB bites do we treat the entire house (its a large old Victorian w/tons of nooks and cranies)? After only 2 weeks is it possible that it has spread from the bedroom? 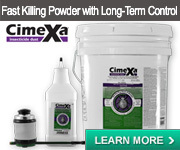 Unfortunately, I sprayed Raid along one wall in my bedroom near my bed before I found this website. 3. Has anyone used Cryonite and had success? One PCO I contacted who uses both Cryonite and chemicals, recommended an initial Cryonite treatment over the entire house with an additional follow-up one week later. The second PCO recommends Sterifab, Bedlam, Suspend and Delta Dust but just in the bedroom area and a follow-up 2 weeks later. I was thinking of doing both sets of treatments (Cryonite and Chemicals b/c of all the horror stories I have read. However, I guess these 2 approaches combined could potentially negate each other somehow.) Can anyone give me their thoughts on Cryonite? I don't think anyone here has mentioned having tried it yet as a customer. I would suggest you choose one PCO and use their method, not try to combine several. Ask each about what kind of guarantees they are willing to make (and what promises about coming back if needed and within what time frame). Are you in a single family house? If so, heat treatments and vikane may be additional options to consider. Thanks for responding so fast. I do indeed live in a private residence which I guess is a good thing/bad thing....more expensive to treat but probably more chance for success. I live north of NYC in Westchester County. Are you aware of any PCOs that provide Thermal Heat? Also, just took my bed apart to begin caulking the frame and headboard and found a dead flea. Now I'm really wondering. I have a cat that is strictly indoors and does not ever scratch. What it really comes down to is making sure that you choose a treatment method that is scientifically tested and documented by a reputable non-biased third party source. Dr. Donald Rutz at Cornell University and Dr. Rudy Schiffrahn from the University of Florida have been and continue to conduct extensive research that documents the use and effectiveness of Sulfuryl Fluoride (also referred to as Vikane) as well as the use of concentrated heat above 130 degrees. 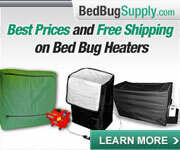 These methods are proven to eliminate bed bugs in all stages of life. Sulfuryl Fluoride has been utilized since 1961 to treat thousands of pest infestations world wide. It is a colorless, odorless, tasteless gas that leaves no residue which is documented down to the part per million and vents 100% clear. 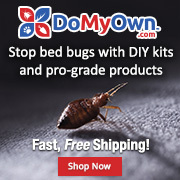 Unlike topical chemicals and other treatment methods, this fumigant penetrates all tiny cracks where bed bugs can hide and is not subjected to human error. I suggest you consider this method before using other methods that historically have been unsuccessful and costly. I am not sure if thermal is available in Rockland County. If you want to go this route, you might do a google search. I am in NYC where it is not available, but you are far enough away that it may be. We have a FAQ on Vikane. If you want to go this route, you can also presumably call Dow who market Vikane gas to enquire about local providers. I would try to get a number of quotes since there is to my knowledge more than one company doing it locally to you and we're told prices vary a great deal. Ask about guarantees--we have heard that human error can lead to unsuccessful vikane treatments, just like any other service. 1 - yes flea bites can be mistaken for BB's. I would suggest looking for physical evidence and if in doubt use a plug in flea trap for a few days to see if it is fleas. 2 - slightly contraversial probably but I am governed by the UK's strict COSHH regulations and will only treat areas of a property that have the signs and prescence of BB's. Unless something has been done to spread them they should remain relatively localised. You are an early stage infestation given the information you have provided and most likely source. I would suggest identification and them control. Thanks everybody. This is wonderful advice. I called my PCO and she is coming to confirm that the bug I found is a flea and drop off some of those flea lamps if so. I will keep you posted. Completing a fumigation at this point makes no sense. 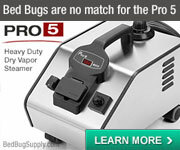 Fumigation is a proven technique to eliminate bed bugs but as some of you on this site know, it can be an extremely steep financial adventure to embark on. A standard treatment shouldn't have any issues with a low level infestation in a stand alone house if the company providing the treatment is knowledgable. Low level infestations, for a good company, isn't usually an issue and should cost considerably less than a 10-20K dollar or more fumigation. As for whole structure heat treatments, there aren't any companies in the Northeast that provide whole structure heat treatments at this point. There are two companies that do so, Temp Air in Minnesota and ThermaPure in California. Both may say on their site they travel but most people I know who have talked with them say they have yet to put their money where their statement is so if I'm you I move forward and leave heat treatment is the background. I just asked a Cornell entomologist about Cryonite, and she said that for it to work effectively, you have to have a precise knowledge of where the bugs are (as we all know, this can be difficult for lighter infestations, even if you hire a bedbug dog). I wish someone who has used it would visit our little community and give us the lowdown! Good luck with this. Yes--my comments were based on the assumption that you have someone verify the presence of bed bugs. No treatment should take place without that. Perhaps someone can track down some of their research on this issue if any of it is online, and link to it. I don't have time right now. 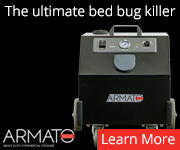 Here's an article with contribution from Rudi Sceffrahn and Richard Cooper, who is regarded as one of the industry's top experts on Bed Bugs. You might be interested to know that contrary to the belief that fumigation with Sulfuryl Fluoride can be a steep financial adventure to embark on, there is a low cost effective method available without having to tent (which can tend to be more costly). 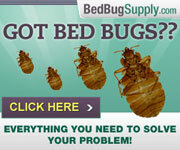 I found a company in NYC that offers this service called Bed Bugs and Beyond. From what I understand they have an excellent reputation. Might be worth a try.....good luck! 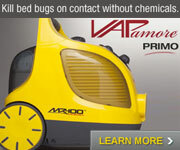 I have nothing against vikane fumigation (which I often recommend, in fact) or the company you mention. I appreciate your link to the article. If you have questions about what I am saying please feel free to private message me (click the "PM this user" link under my message). Thanks! Sleep tight, I think you're talking about commodity fumigation (your post was very cryptic). Here's a topic that was discussed a few weeks back where we talked about commodity fumigation and I gave my opinion on the topic (for what my opinion is worth). Anyone interested in following this post can see my update posted today under "Dilemma in Choosing a PCO"
If you click "cryonite" in the tags at top, you will get StBarts' other post. 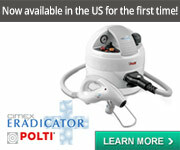 Not sure how long the moderator will let your post remain, but in the meantime, could you explain how you deal with the dispersal of bed bugs from the high pressure of the cryonite machine? Jeff White on "Bed Bug TV" had some side by side comparisons of cryonite to steam, and the big problem with cryonite was dispersal. The other problem was that some of the frozen "dead" bugs later got up and walked away after they defrosted Lastly, cryonite is only a contact killer. What type of residual are you using in addition? This is such an old post - 9 years. Don't bother with Cryonite in general situations. It has to hit directly and sometimes it cools them down, but they can wake up upon warming up. No residual.